China is without a doubt one of the most connected countries in the world. Since the economic development of the country, the inhabitants got wealthier and most of the population now owns a smartphone. In a country with more than 1.4 billion people, this automatically represents a huge market. One of their favorite app is called “WeChat“. Not really famous in the West, it is though used by more than 900 million users every day! It is also the most used messaging app in China. However, WeChat is more than just an app. Developed by Tencent, WeChat has many features: it can send texts or vocal messages, take photos and videos, send locations to friends, pay for shopping or rent, make an appointment to the doctor and many others. WeChat brings together all of the most useful features in Chinese’s life in one single app. 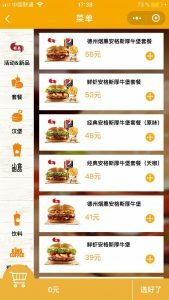 But since January 2017, a new system has been integrated into WeChat: mini-programs. While we could have think that WeChat already had everything that the Chinese needed in one app, Tencent hit hard with the arrival of the mini-programs. One year after its launch, there are already more than 580,000. In order to compare, the App Store has launched 500,000 new app between 2008 and 2012. The rhythm in which mini-programs have developed is thus spectacular! Today, they have nearly 170 million users every day. But, what exactly are WeChat’s miniprograms? This new feature can be described as a kind of “sub-application”. That is, one app inside another (in this case, WeChat). Mini-programs can therefore be compared to “mini-apps” built into the WeChat app itself. 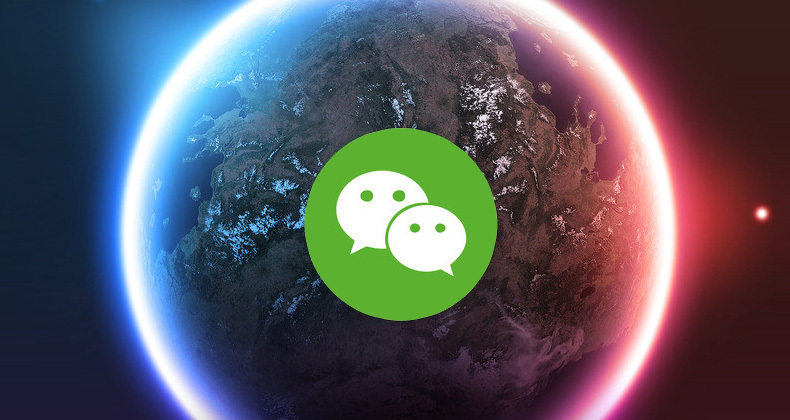 As a result, users will no longer have to use or download new apps because they may already be in WeChat! programs are therefore big competitors to classic stores. Chinese can survive without WeChat. However, this system is not new. Some of WeChat’s biggest competitors already tried this strategy. We saw the “IMessage” system launched by Apple (a texting service between Iphones), Facebook and its “Marketplace” (a platform to sell and buy objects around your location), Messenger and its “Instant Games” (a mini arcade in your phone). They have all been more or less successful. 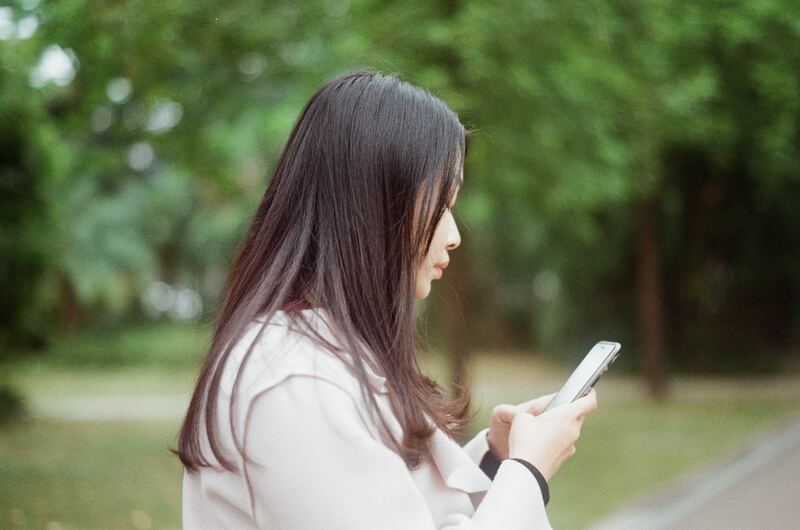 Although the strategy has already been used, none of the competitors has been as successful as WeChat with its mini-programs. Chinese spend an average of more than 3 hours a day on WeChat. Its success lies in the diversity of its features. Considering the importance of the application in the daily life of the Chinese, it also proves to be a great asset for companies wishing to have a digital presence. How are mini-programs interesting from a marketing point of view? 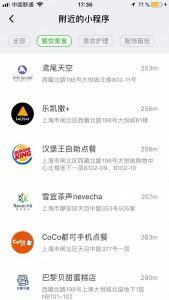 Considering that 94% of Chinese use WeChat every day, there is thus no better app in China to give visibility to your brand. However, in addition to an official account, you can now create your mini-program. There are several advantages to this. First, mobile apps take up a lot of space in the device’s storage. It may happen that some Chinese won’t want to download your app, because it would allow them to store fewer photos for example. Especially if they are not regular customers. Mini-apps are taking less space, are more convenient, but are also faster. Your customers are therefore likely to prefer this mini-program to your original app. In addition, the cost of creating a mini-program requires less time and money investment than those required for a regular app. This option is therefore accessible to everyone, from small start-ups to multinational firms. Finally, it was previously impossible to insert hyperlinks in the content of your “moments” (a feature of WeChat, equivalent to Facebook’s “wall”). These hyperlinks could for example have allowed the Key Opinion Leaders of the country to send their “followers” on their e-commerce website through WeChat. But it is now possible thanks to the mini-programs! They allow businesses and entrepreneurs to promote their brand, as well as they allow customers to buy their products or services without even having to change app. Do you also want to develop your brand in China? You don’t know how to enter this difficult market and need help? Get in touch with a specialized agency: Gentlemen Marketing Agency! We are the first digital marketing agency in China. If you need more information, please visit our website and contact our digital marketing specialists.